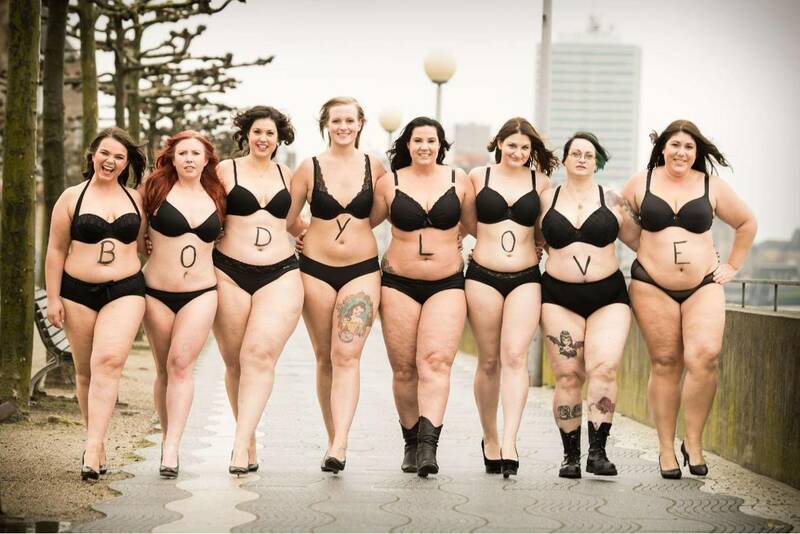 They love each other and their bodies the way they are – and make a statement on Instagram. The best body-positive accounts of the month. Are you always annoyed by Instagram accounts on which perfectly styled women grin into the camera and stage their (seemingly) immaculate body as if there were neither cellulite nor hip rolls and certainly no self-doubt about their own figure? Since it is much more sympathetic and authentic that more and more women whistle on this fairy tale of the perfect body and show themselves as they really are: with belly neck and stretch marks, with beauty that give in to gravity and extra pounds. No reason to be ashamed or to hide. Of course, beautiful women are fully in vogue. And that they confidently stand by their stigma makes them twice as attractive. Again this month, we introduce women who show that you do not need ideal measures to have a great look. And that it’s not about dress sizes and perfection – but about loving oneself. Just as you are, no matter what narrow-minded ideals of beauty want to dictate to us. In the selection of body-positive accounts, which currently inspire us particularly, it has managed, among other things, a woman who took the word “fat” negative image: Tess Holliday is actively working to ensure that women not their luck depending on dress sizes and graced even as a plus-size model, the cover of the British Cosmopolitan. Again, Allison Kimmey was pretty lean and unhappy – today, with a few pounds and curves more, she radiates with love for life. Then there’s Emily Skye. The Australian fitness goddess shows honest and unadorned like no one else that her athletic body has changed quite a bit by the birth of her daughter. beauty has many faces. The decisive factor is neither the weight of a woman nor tight skin. It’s all about the art of celebrating oneself and one’s life. Anyone who does this, as our Instagram women show, finds the self-confidence to feel like a goddess – completely independent of any dress size.